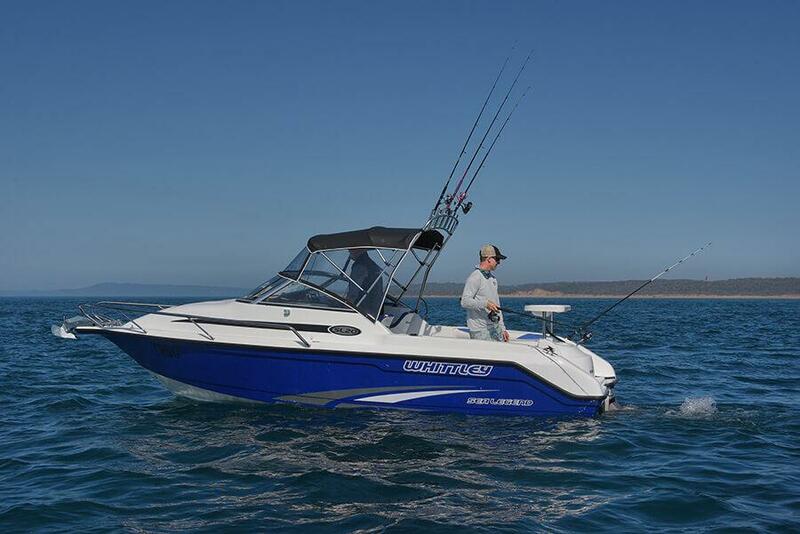 The Whittley SL 20 is a Magnificent, Trailerable, Extreme deep vee (23 degrees) Bluewater, Offshore fishing hull. 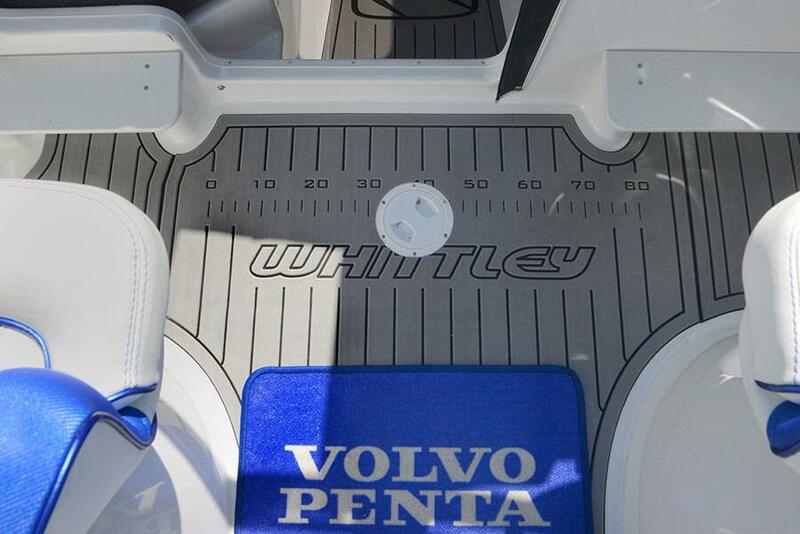 With one of the best finishes and softest ride of any trailer boat today. 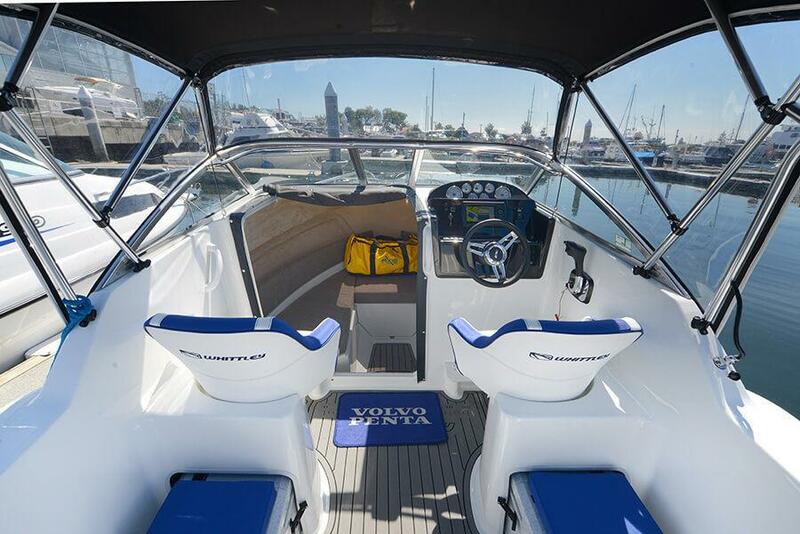 It looks as good as it performs, with a new look cabin entry sitting in front of the most comfortable seats in the 6m class. 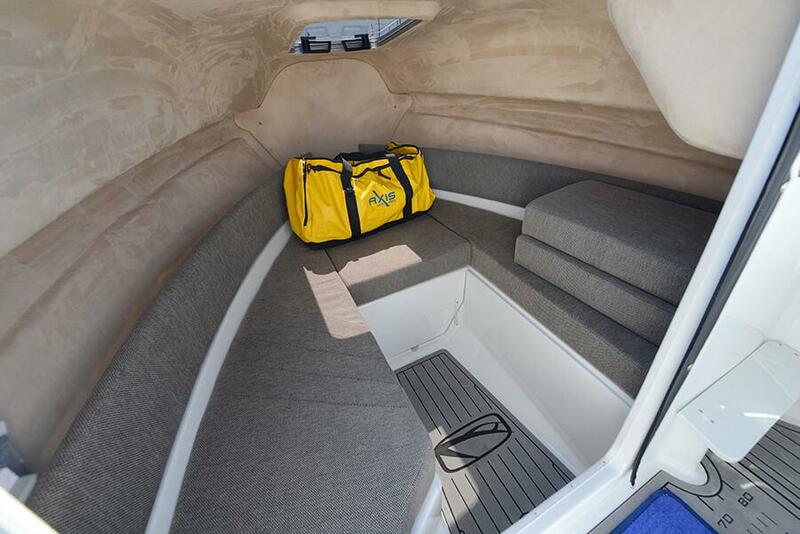 Underfoot there is a moulded fibreglass floor with non-slip diamond tread finish. 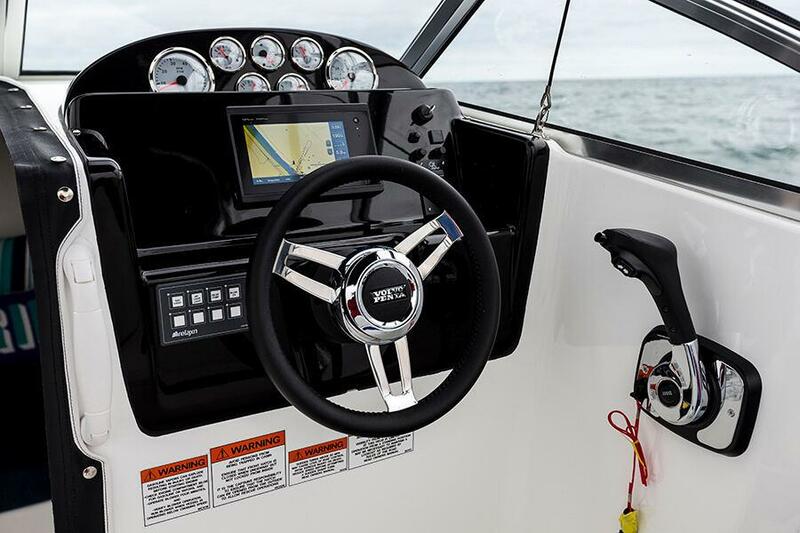 The helm features a stylish black moulded dash with mechanical gauges and a Garmin 4.5 GPS/Fish Finder as standard. All the information you need is available at a glance. 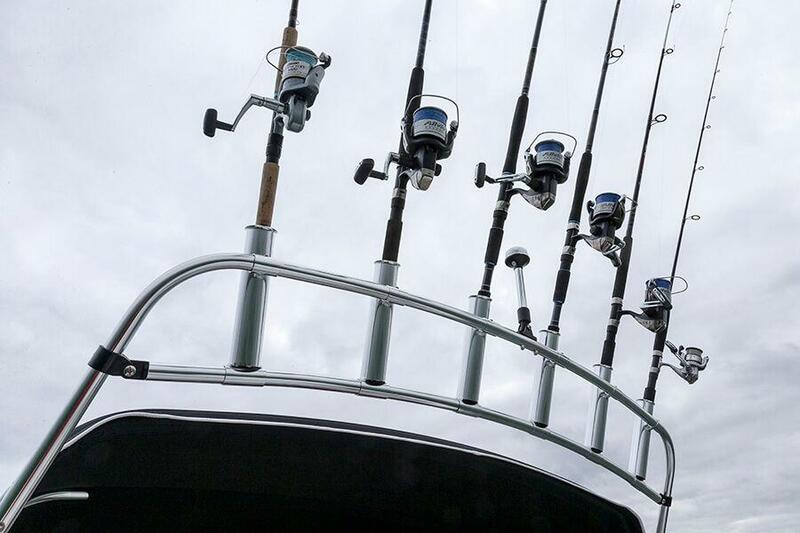 A stainless steel grab rail is conveniently located around the windscreen. 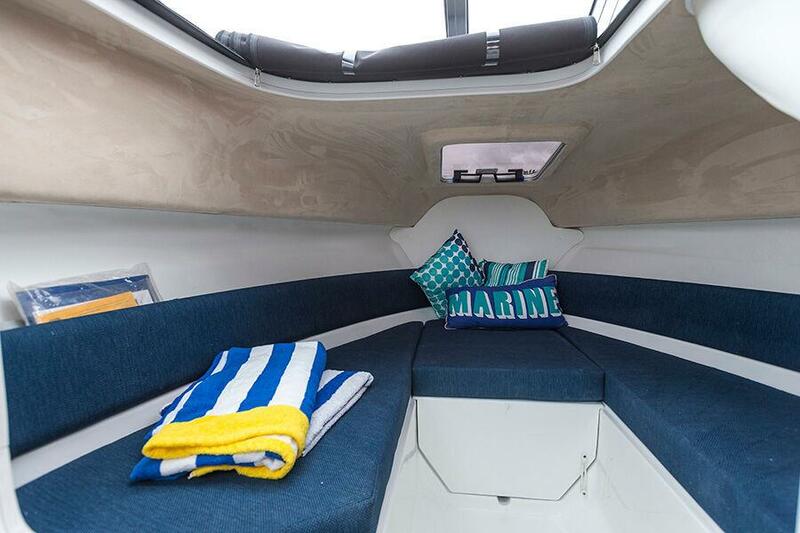 There is no compromise in the cabin with a full length double V-berth and head-lining. 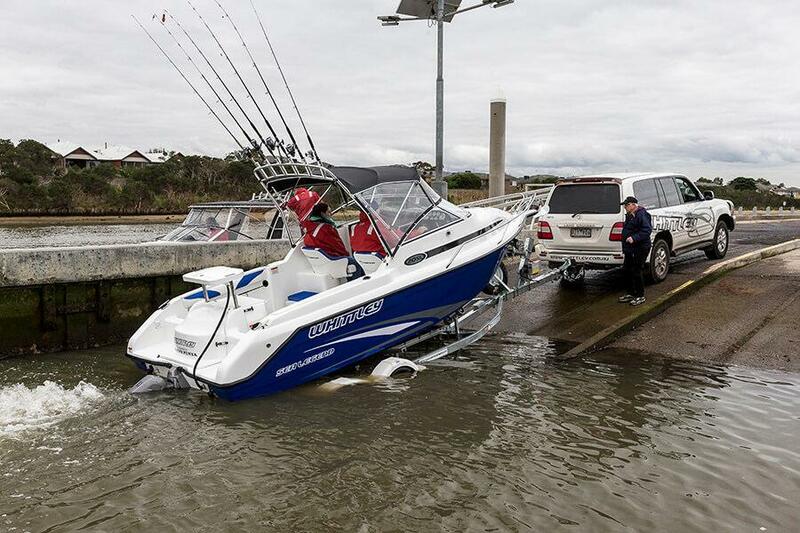 Its the perfect haven for 24-hour fishing missions or somewhere to tuck the family in at night. 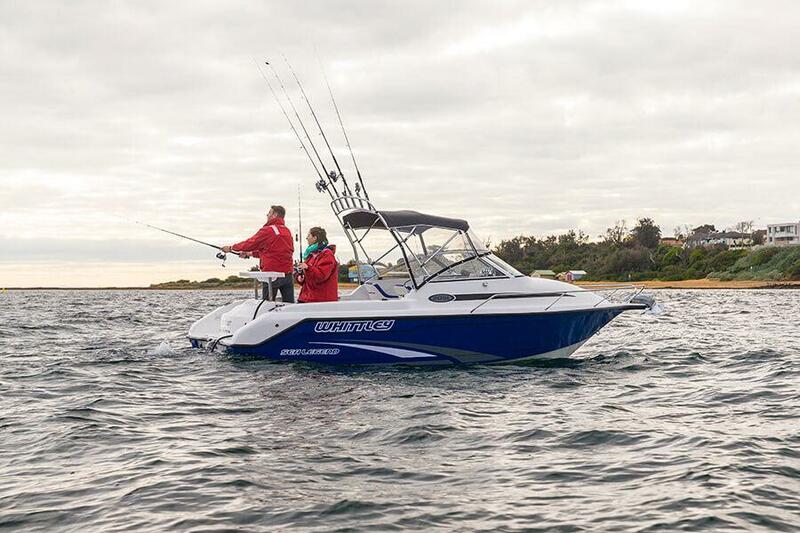 The fishing features come thick and fast on the SL 20 with moulded side-pockets for storage, two solid esky/kill tanks and four stainless rod holders. 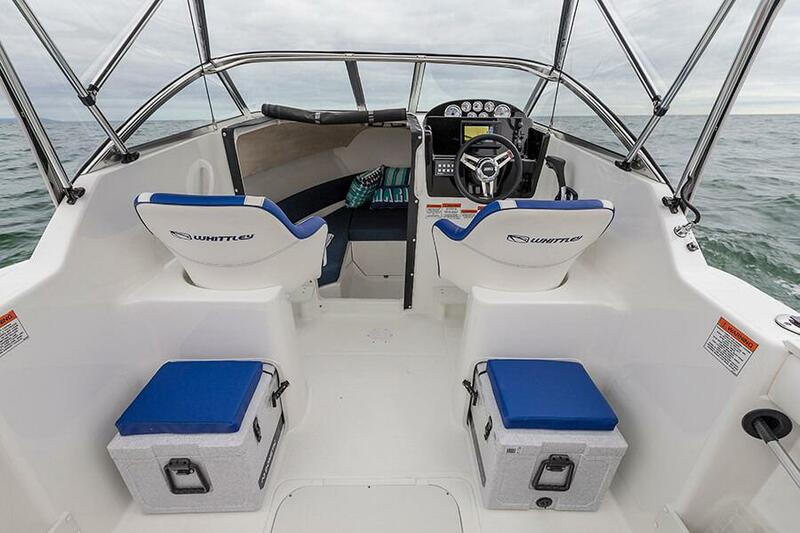 The standard package also includes front and side clears, front rubber flooring, floor fish measurer and an alloy rocket launcher. 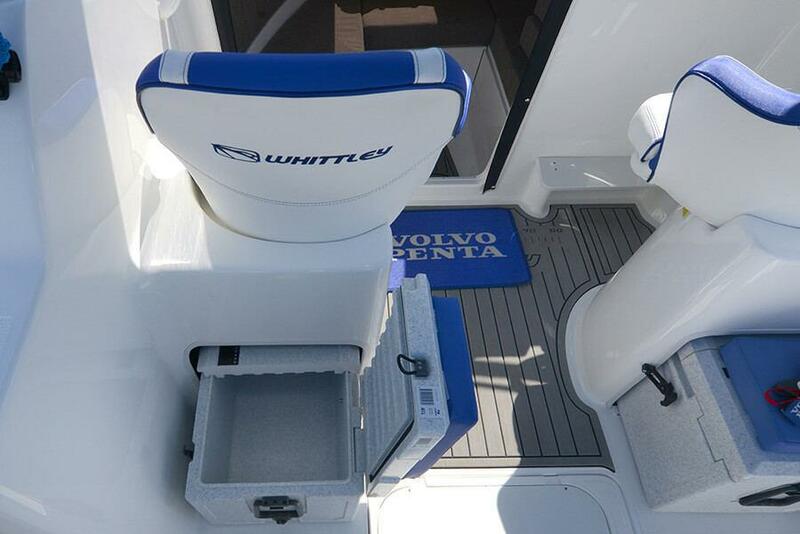 The SL 20 is available in three hull colours, Azzura, Platinum and Ice White, so you can easily customize the look. 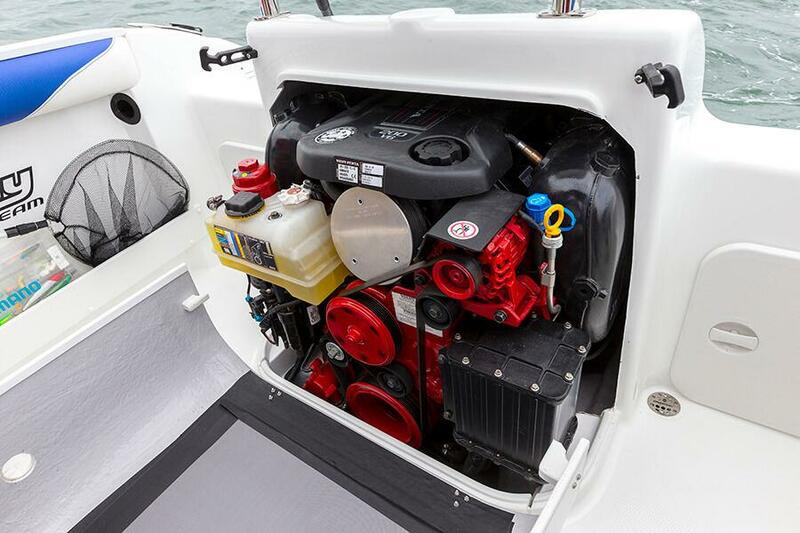 Packaged together with a high-quality Mackay Trailer and Volvo Penta’s EFI V6 200Hp GSX engine, your boating just became a whole lot more fun and affordable. 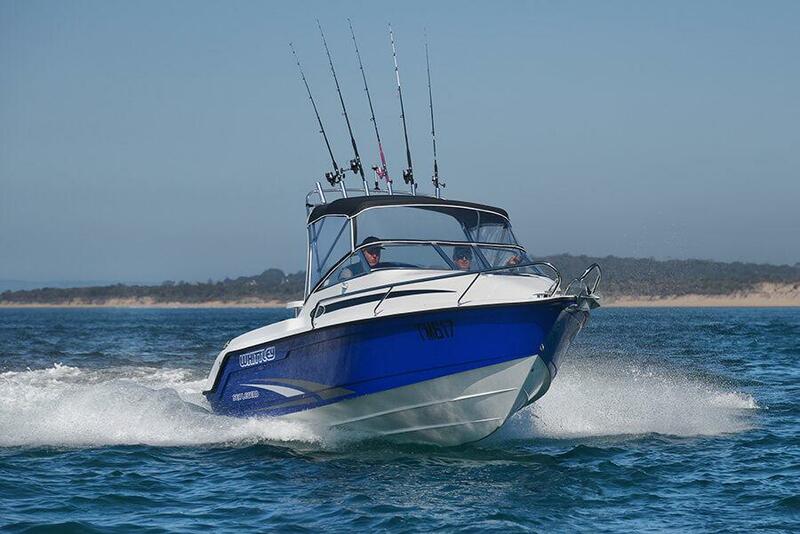 We think you wont find a better 6m fishing boat on the market! There are many factory and aftersales options available, speak to us today!! 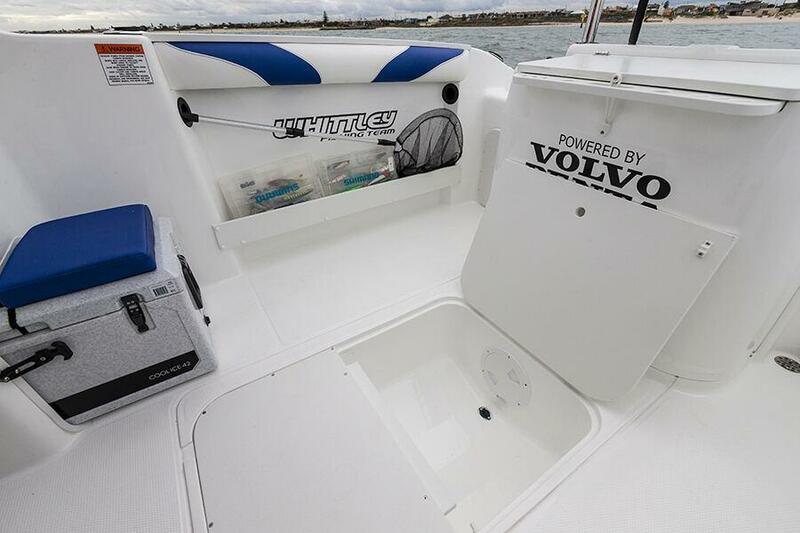 PRICING: Price – From $81,240 Package with Volvo 4.3 Litre EFI V6 200Hp Sterndrive and Mackay Tandem Trailer, Safety Gear, Registration and Tuition – turn key delivered in Patterson Lakes Victoria. 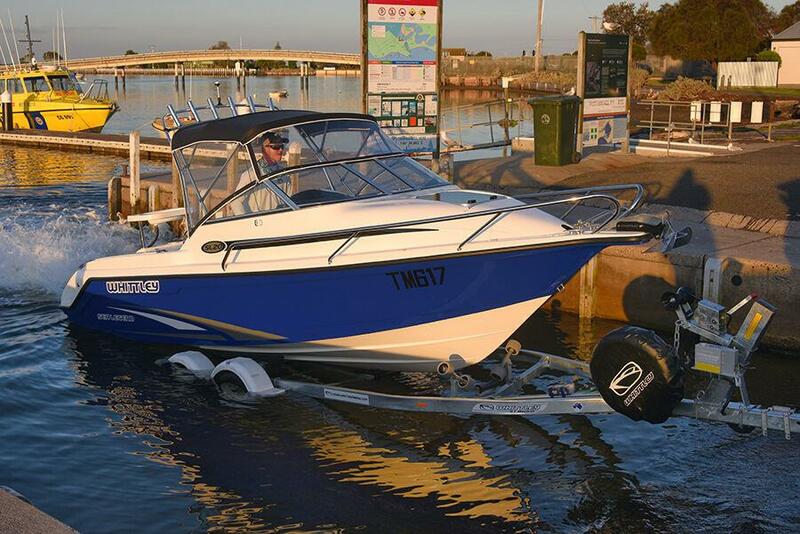 Price From $81,240 Standard package including Pre-delivery, Registration, Safety Equipment ex Patterson Lakes. Turn key ready to go! Can’t find what you’re looking for ? 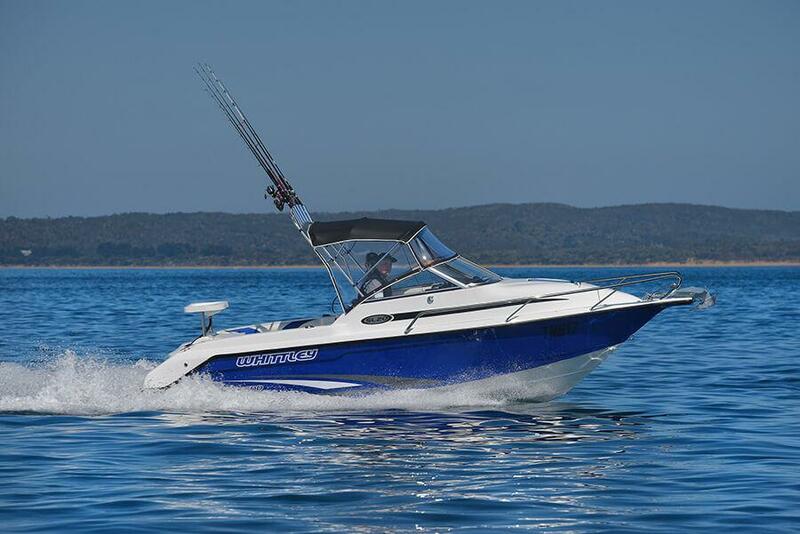 Register with us as we often have silent listings or boats coming up and we are happy to find your next boat for you. 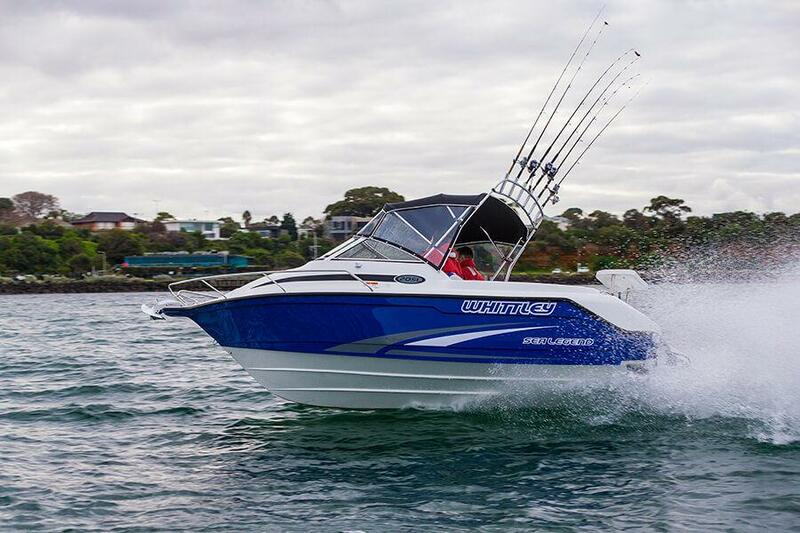 Thought about selling your boat ? 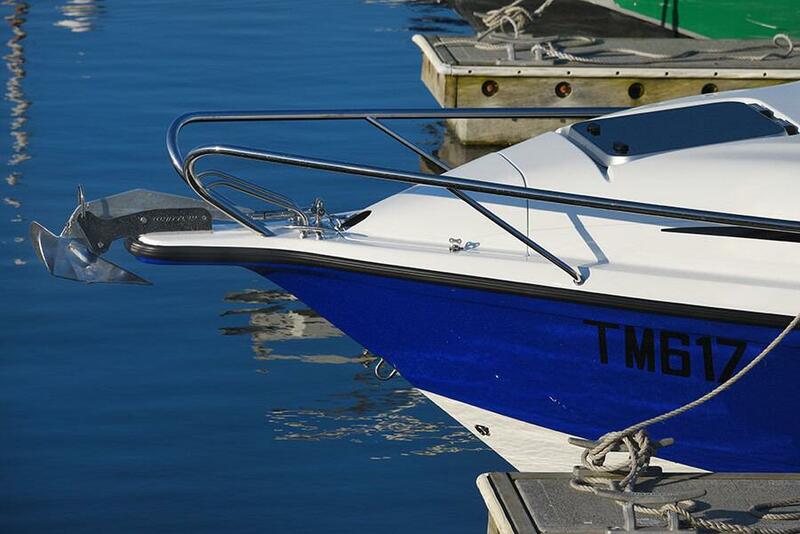 We are here to assist with a zero cost to you if the vessel does not sell. 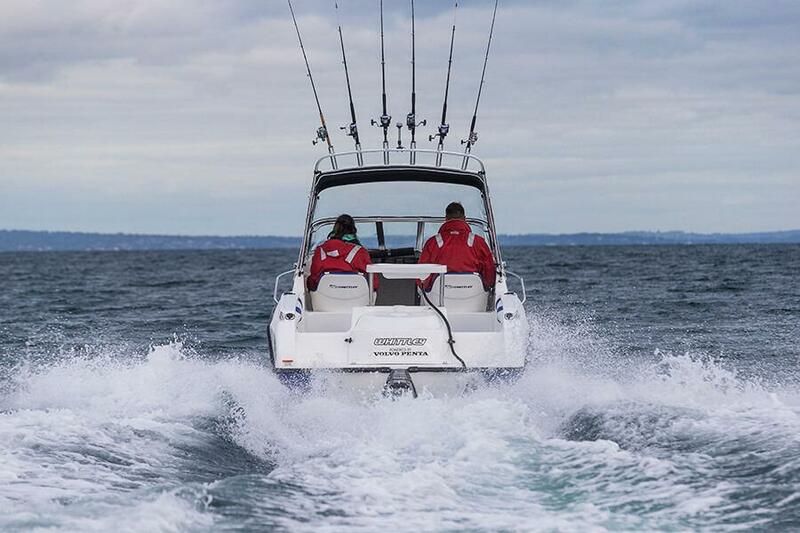 Whether your first or fifth boat, we are here to make your buying or selling experience an easy, professional and ethical one. 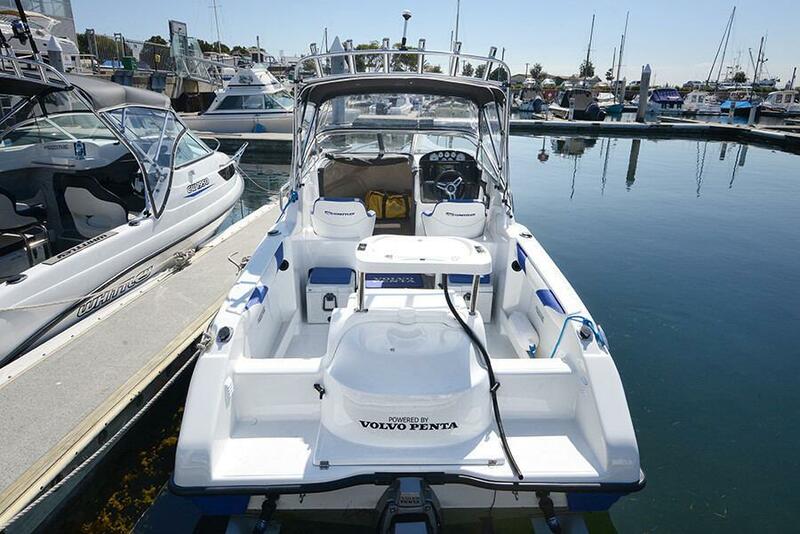 Bring your vessel to our sales row, or let us sell it for you at its home berth. 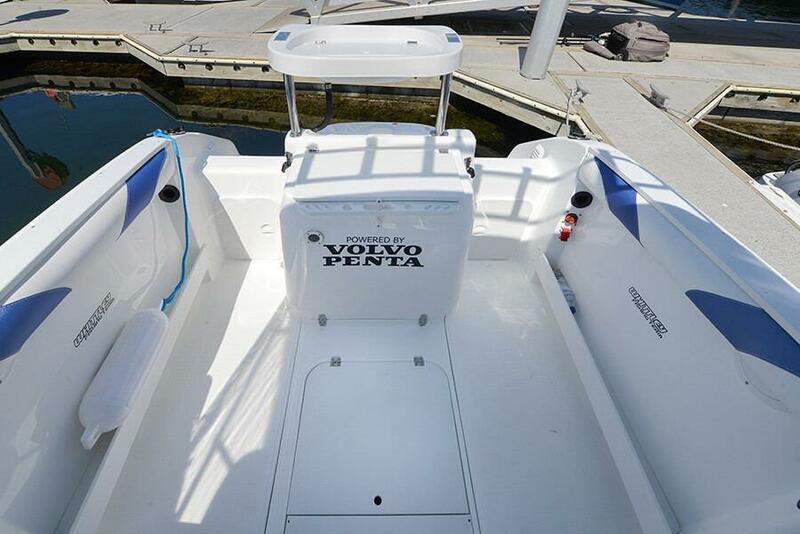 We also store and sell trailerboats in a secure undercover factory! 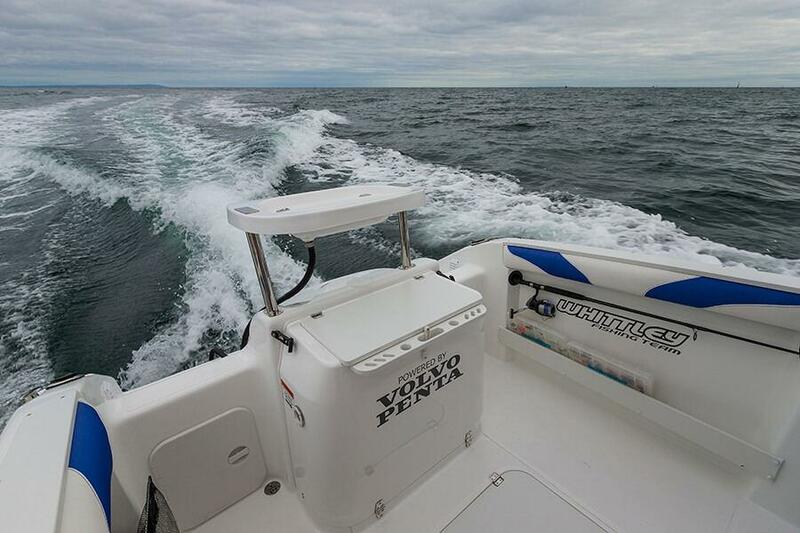 We are a Victorian BIA member, Club Marine and Nautilus insurance agents and pride ourselves on repeat business. Whether you are buying or selling, we are here to assist and look forward to hearing from you. 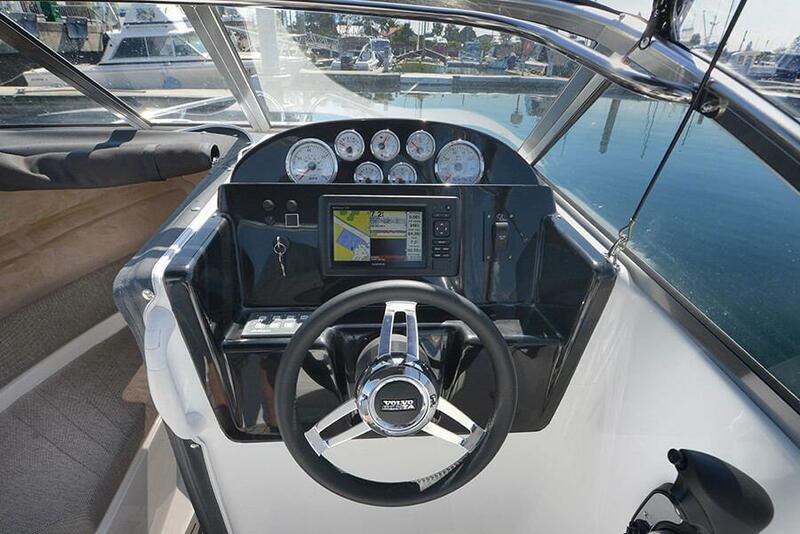 Caribbean, Sea Ray, Four Winns, Mustang, Riviera, Bayliner, Haines, Savage, Whittley, Regal, Monterey, Maritimo, Bertram, Sunrunner, Maxum, Campion, Chaparral, Carver, Beneteau, Jeanneau,Sunseeker, Meridian, Princess and many others.